Furnish the skills of fresher/Experienced at corporate by delivering industry admirable certification for Java Full Stack training. Live project training for Java Full Stack Development through expert Java devloper with 10-12 years of experience. Placement assistance would be 100% after completion of 70% Java Full Stack training our dedicated placement team arrange interview till placement. A Java Full Stack Developer is an individual who is able to perform tasks at any level of the technical stack which include working with system infrastructure and understanding what hardware and operating system to install in order to prepare the system, understanding, manipulating, developing and querying database, front-end coding and backend coding in more than 1 languages, project management, and many other tasks. A Full Stack Developer is someone who is familiar with all the layers of computer software development. They are not expert at everything but have functional knowledge of all the stages of the software development. In order to become an Expert Java Full Stack Developer, it is necessary to attend exceptional Java Full Stack Development Training Course in Gurgaon/Gurugram provided by SLA Consultants Gurgaon. The Java Full Stack Training looks at all the major aspects of Java Full Stack Development and provides the candidate with extensive knowledge and expertise in the field through a rigorous Java Full Stack Practical Training provided by the very best corporate trainers one can ever find. The Java Full Stack Live Project Training Program is designed by industry experts while keeping in mind the current and future requirements of business industry and thus it will help the participants to meet all the business requirements by learning extensive and job oriented skills in Java Full Stack Development using Innovative Java Full Stack Training techniques. Therefore, if you are graduate from IT field and looking to pursue a promising career in web development then we recommend you to attend our Java Full Stack Developer Training in Gurgaon/Gurugram to give your career a better direction. SLA Consultants Gurgaon is a highly respectable and dependable Java Training Institute who provides Java Full Stack Real-time Live Practical Training, projects and assignments on Real world cases, workshops and handouts, instructor LED classroom, wide admin support and 100% Job Placement Assistance after the completion of the Java Full Stack Certification Training. All the participants will be awarded a valid certification after successfully completing the Java Full Stack Training which would help them to acquire a promising job as a Java Full Stack Developer. The Java Full Stack Training will help them design and implement JEE software application, develop and publish web-based application and rest API, along with many more functions. Thus, if you want to gain extensive knowledge in Java Full Stack Development and lead a career in the field, then wait no more and join our Foremost Training Course in Gurgaon/Gurugram. There is a heavy requirement for Java Full Stack Developer in the market due to their wide knowledge in web development and frontend and backend layers. They can identify the problem at any stage of the software development. A Java Full Stack Developer work with the entire team of the web development and thus gets a wide opportunity to learn and Excel his or her expertise in web development. The respect and recognition received by a Java Full Stack Developer is quite good due to their importance and knowledge in the field. A Java Full Stack Developer is also able to earn a good income at the entry level. The average salary of a Java Full Stack Developer in India is 4 to 5 lakh per annum which can increase up to 10 to 14 lakh per annum with good experience. There is a global demand for professional Java Full Stack Developer which also offers extensive job growth opportunities where the candidate can become a manager or a leader in a short span of time. These are some of the best benefits you can enjoy after learning Java Full Stack Development from SLA Consultants Gurgaon in Gurgaon/Gurugram. If you have any query or want more information regarding the Java Full Stack course or our Java Full Stack Training Institute, you can give us a call or simply visit Our centre. What is Java Full Stack development? Java Full Stack development refers to the web development skills where the candidate can develop a web based application in all the layers such as frontend and backend. It involves having a wide knowledge in Java web development but are not expert at any task. How come Java full stack development will help my career? The demand for Java full stack developer in the Indian market is increasing day by day, and thus, learning Java Full Stack development can help you acquire a promising job at any reputed organisation easily. 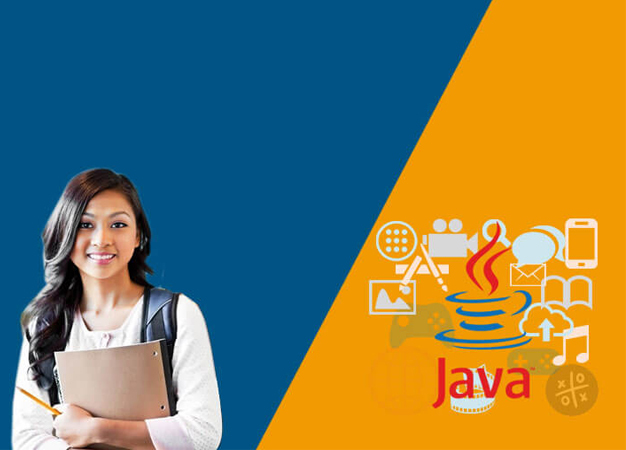 What is the eligibility criteria to join the Java Full Stack course? The candidate needs to have a graduate degree in IT field and some basic computer knowledge in order to join the Java Full Stack course. Is there any backup classes available if I miss any session? Yes, we arrange backup classes for students who miss any session or does not able to understand the topic fluently. However, the student needs to address the issue first to the administration who will schedule their backup classes. What is the process of registration for the Java Full Stack development training? You can submit quotation on our website or visit our center for registration, for which, you have to submit the fees in full or instalment. After that, your classes will be scheduled. What are the topics covered in the Java Full Stack development training?